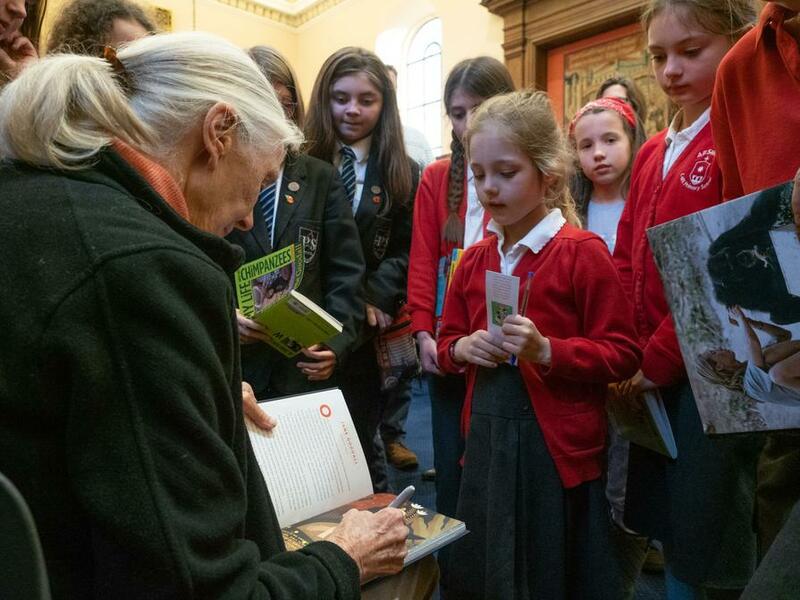 A number of children were invited by Winchester College to attend a book signing and afternoon tea with Jane Goodall. Jane is a British primatologist who, with no scientific qualifications, bravely ventured into the Tanzanian jungle to research chimpanzees and has dedicated her life to help them from becoming extinct. 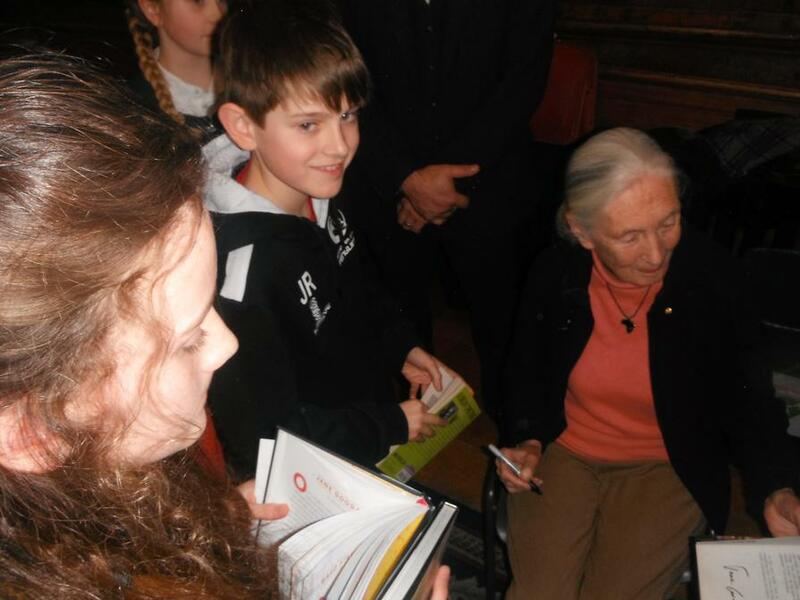 The children were excited to meet her and have their books signed. They enjoyed the sandwiches and cake too! Thank you to Mrs. Ellison for taking the children to the event.